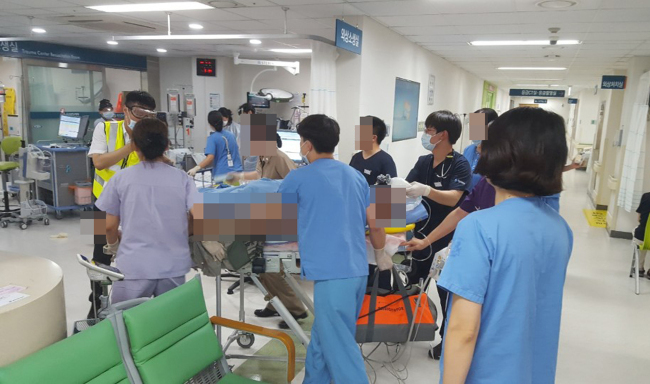 A Marine Corps helicopter crashed in Pohang, North Gyeongsang Province, on Tuesday, leaving five dead and one injured, according to the authorities. 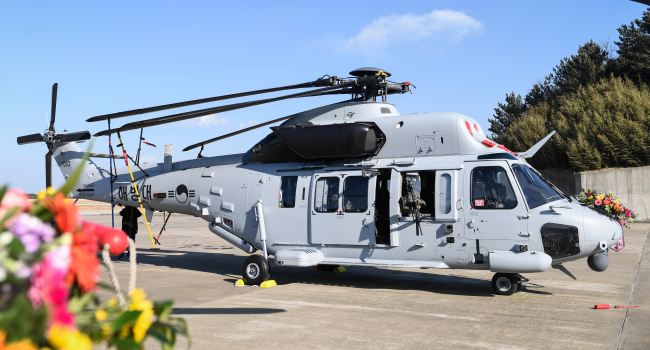 Gyeongbuk Fire Service Headquarters said the Surion (MUH-1) carrying six passengers crashed on the landing strip at the Navy’s Sixth Air Command in Pohang around 4:45 p.m. The helicopter was landing when it crashed from 10 meters above ground and caught fire, according to the authorities. Rescue workers arrived on the scene five minutes after the crash, and one passenger was transferred to a nearby hospital, the authorities said. The fire was put out by the military around 5 p.m. One firefighter is reported to have been injured. The helicopter was on a test flight following maintenance. “The helicopter crashed while it was on its test flight. The military will launch an investigation team to find the exact reasons for the accident,” a military official said.